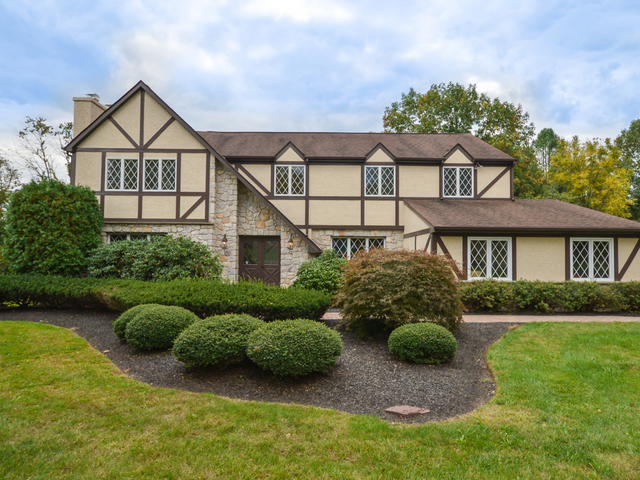 This Wonderfully maintained Tudor Colonial is tucked away on a picturesque, secluded lot in the Makefield Chase development of Lower Makefield Township, Bucks County! It is situated on a flag lot and set back off the road and features a quiet, estate like setting. The paver walkway with meticulously maintained gardens leads to the double front entry doors into the two story foyer flanked by the formal living room with fireplace and formal dining room. The completely remodeled kitchen offers upgraded, soft close wood cabinetry, new stainless appliances, additional features that are perfect for the amateur chef, counter space galore with granite including a large island, pantry, subway tile backsplash, upgraded flooring and breakfast area which is open to the family room with a stone, gas fired fireplace. 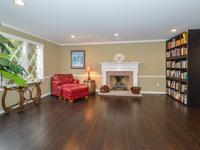 The Wall was opened from the formal living room to family room for a more modern, spacious floor plan. There is a sun room off the family room. This is a wonderful space for entertaining and family gatherings rain or shine. 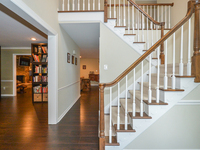 The expansive upper level offers an over-sized master bedroom suite with sitting room featuring a third fireplace, huge walk-in closet and a completely remodeled master bath. This bath boasts a very large 8' x 5' walk-in spa shower with rain shower system, four wall jets, a wand as well as a 4 foot granite bench seat. There are three additional sizable bedrooms and an updated full bath. Attention was paid to every last detail when renovations were done and Additionally this home offers a large laundry room with built-in cabinetry and outside entrance, full basement which is partially finished and a large storage area, upgraded lighting including recessed, new flooring and freshly painted throughout, new powder room, three car attached garage finished with drywall and a large driveway with abundant parking area. The outside living includes a covered porch and open patio overlooking the yard with trees in rear. 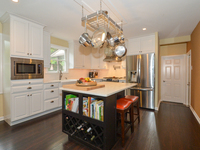 This fabulous home is close to all major commuting routes, wonderful restaurants and shops. 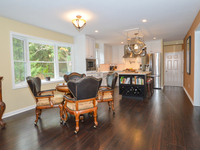 This home has been lovingly cared for and is a pleasure to show!